LoraBerry V 2.2 is an extension board for RaspBerry Pi. One Real Time clock powered by a 12 mm battery (Battery CR1216 is not included). 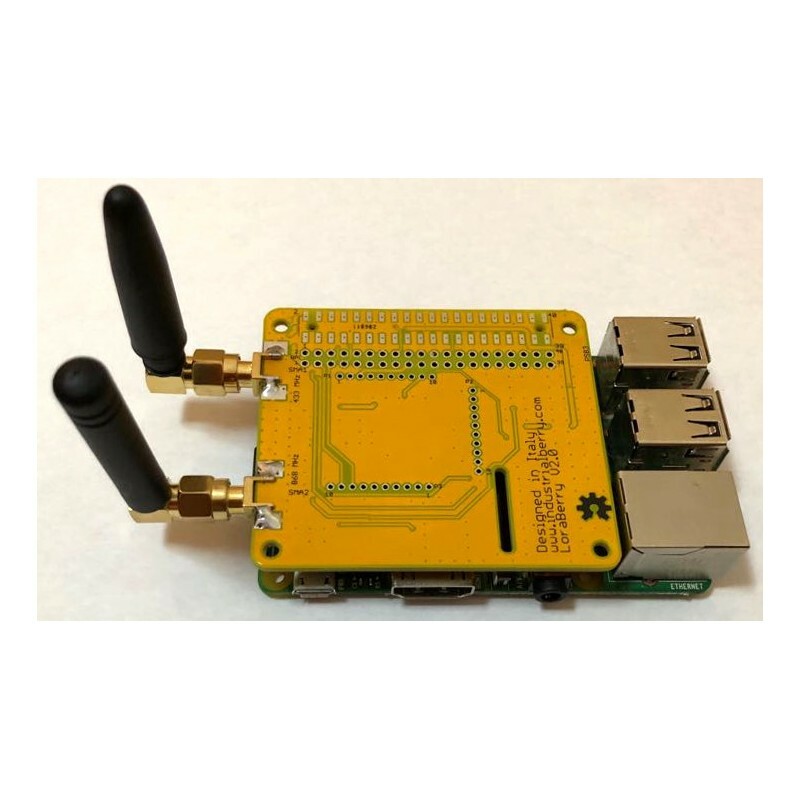 The Lora is based on RN2483 an uart RF module. LoraBerry PI V 2.2 is an extension board for RaspBerry Pi. It is an Open Hardware Design. It has two functionalities: a dual band Lora module and an on board Real Time clock powered by a 12 mm battery (Battery CR1216 is not included). In the following figure is shown the Board Top View. 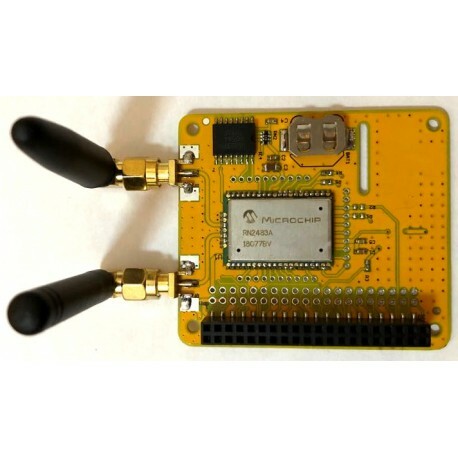 Microchip’s RN2483 Low-Power Long Range LoRa Technology Transceiver module provides an easy to use, low-power solution for long range wireless data transmission. The advanced command interface oﬀers rapid time to market. 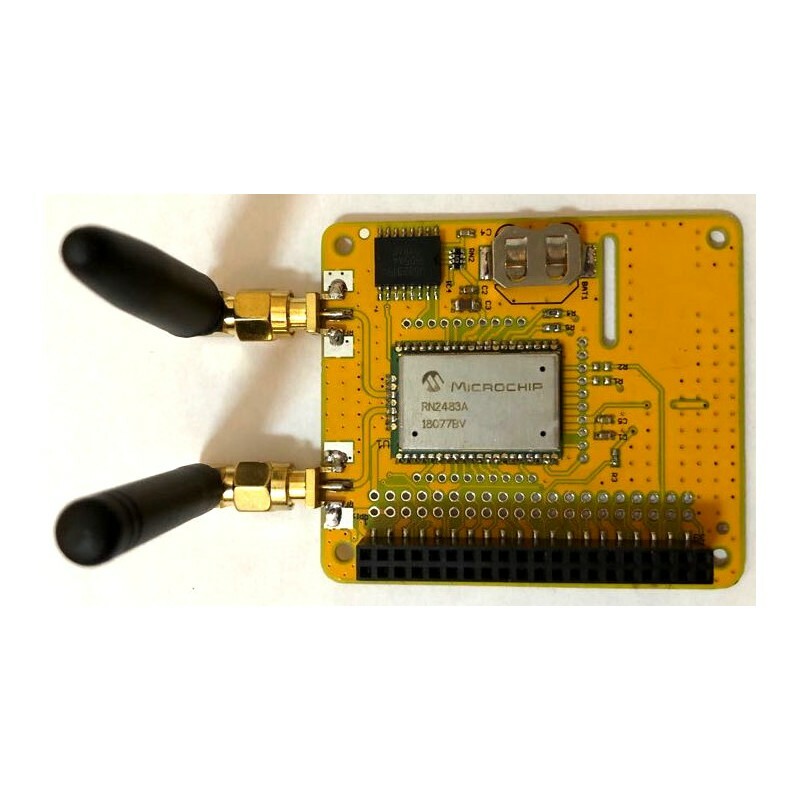 The RN2483 module complies with the LoRaWAN Class A protocol speciﬁcations. It integrates RF, a baseband controller, command Application Programming Interface (API) processor, making it acomplete long range solution. Datasheet and techincal details are available on industrialberry website.